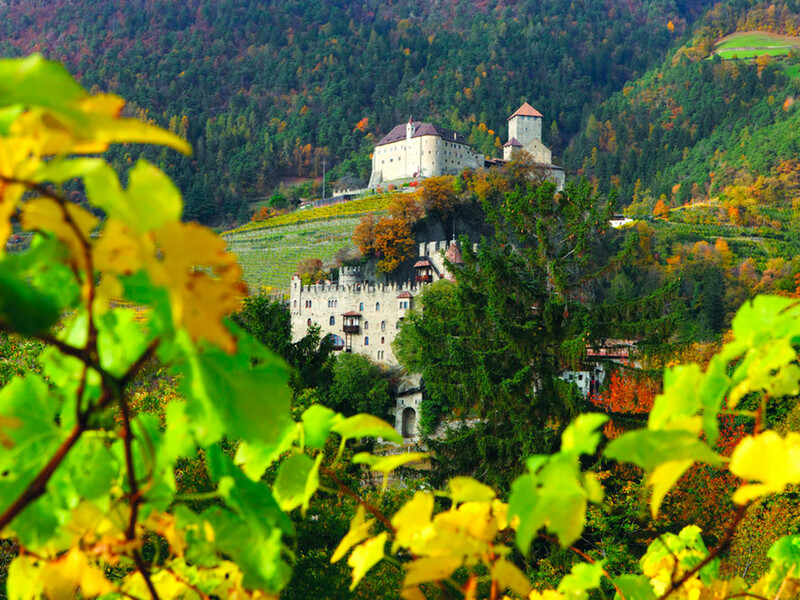 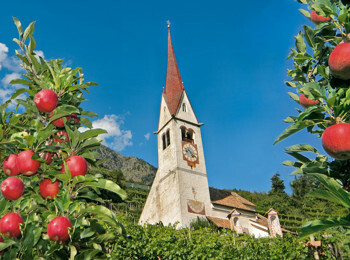 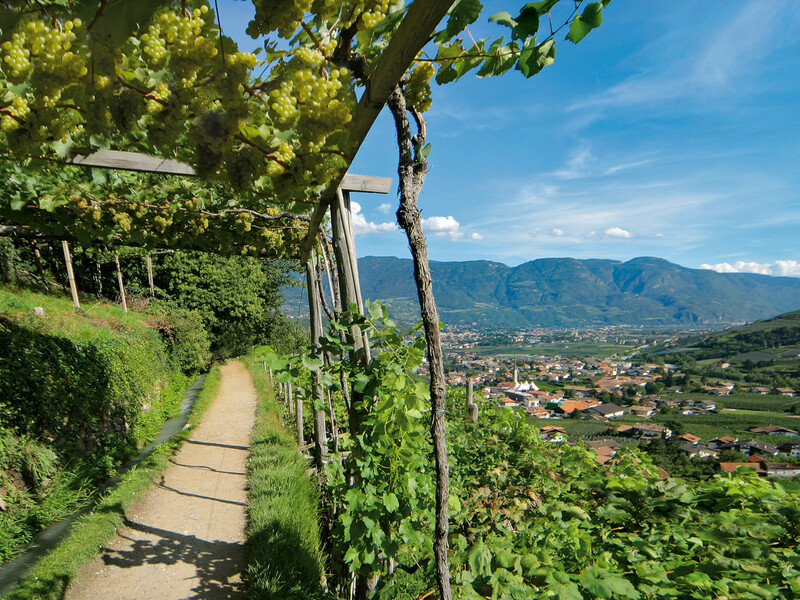 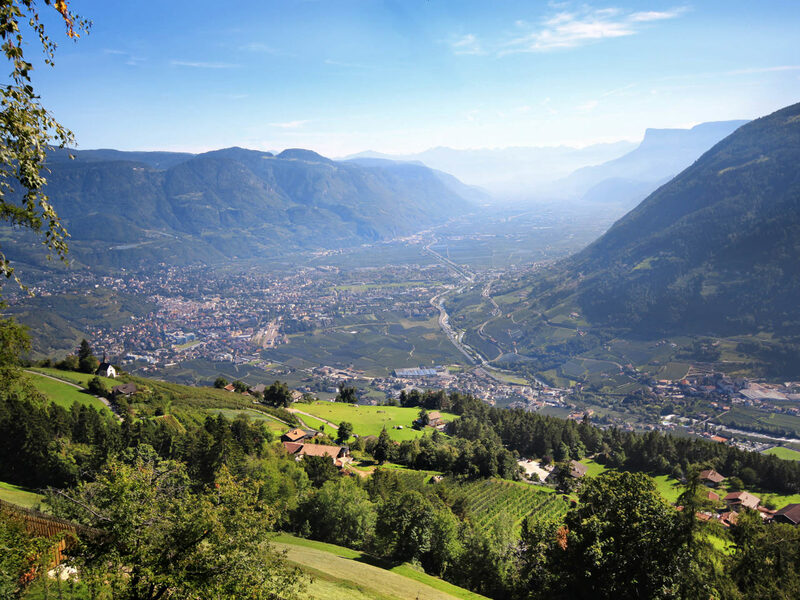 The nice village Algund is situated right next to the city gates of Meran in the western part of South Tyrol, embedded by endless green vineyards and fruit orchards. 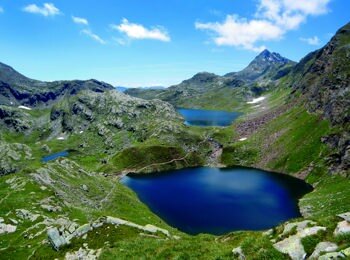 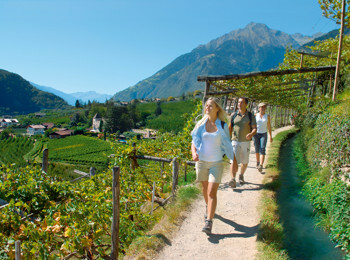 Due to very mild winters and hot summers, apples and grapes flourish here very well and due to the mild climate, you can also go hiking the whole year round. But there are even more reasons why to visit Algund: For example because there is the oldest brewery of the region - the “Forst”; or because of the fantastic landscape with many paths going through the vineyards and following old irrigation channels, called "Waalwege”; and not to forget because of the proximity to Meran, which is considered to be one of the most beautiful cities throughout Italy. 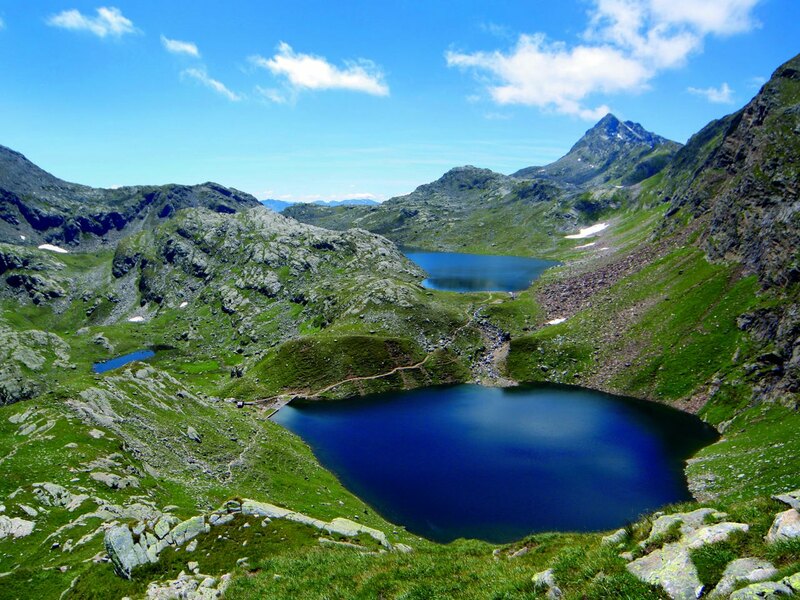 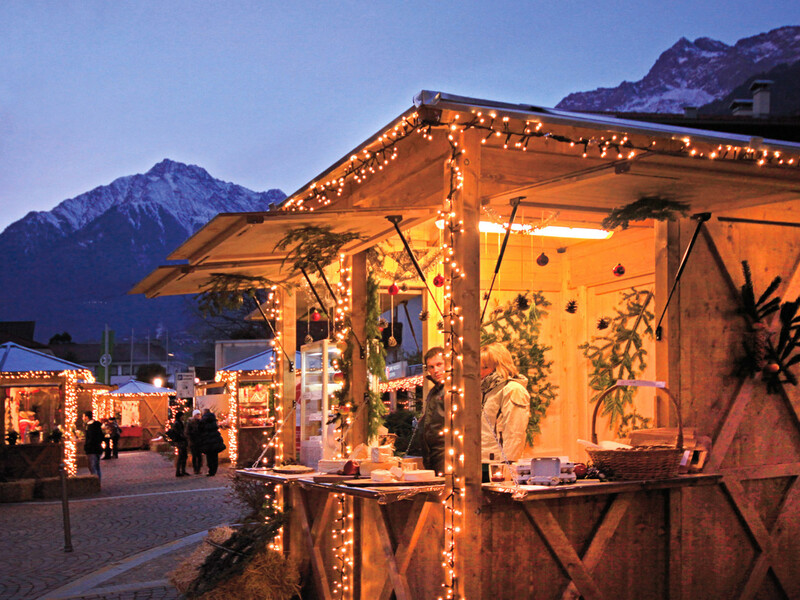 During your holidays in Algund you can choose from many different activities for your leisure time: climbing, hiking, mountain biking are the most popular ones outdoors, sightseeing tours through Meran and Dorf Tirol cover the cultural part. 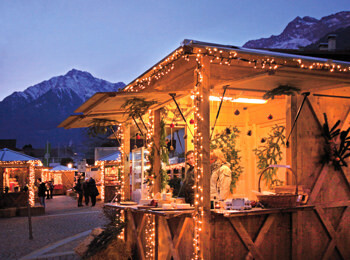 But also a visit to the brewery “Forst” may be an interesting and important pastime. 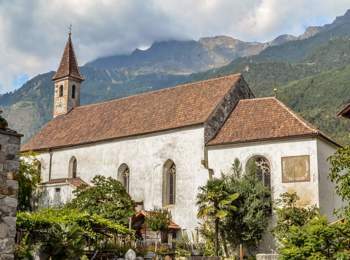 If you like the typical South Tyrolean cuisine, but also Mediterranean dishes, you will surely be satisfied in Algund: There are many nice restaurants, wine cellars, bars with sunny terraces waiting for you with the best specialities of the region.